A really nice piece of kit. Fast draws while being absolutely safe. The ability to purchase a different insert is a nice touch. great quality. the insert block can be changed in two minutes. 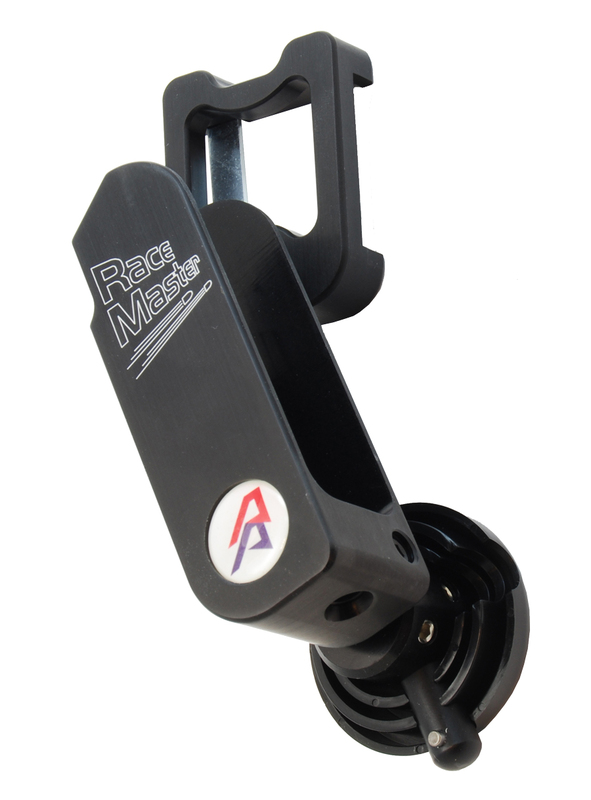 Race Master Holster aluminum assembly only (hanger and body)! The Race Master holster’s hanger and body are made completely from machined aluminum, providing a solid and rigid platform, which locks up securely in the chosen position and keeps your pistol secure and stable. The vertical rod and ball joint create an endless range of adjustment possibilities, allowing each shooter to set the holster to best suite his body type, draw style and preference. With the Race Master holster you don’t need to adjust your draw to the holster, it adjusts to you! The Race Master belt-hanger is sleek and modern, showing off the pattern and color of your shooting belt. But it is designed for more than looks alone. The hanger is attached to the belt by means of two spring-steel flat clasps that are screw-tightened on the inside of the shooting belt. This design prevents any separation between the inner and outer belts, ensuring that the Velcro layers firmly hold together at this crucial point. While the Race Master Holster is gun-specific, it is designed to enable you to switch from one gun to another without having to buy a complete new holster. All you have to do is change the relatively inexpensive locking-block assembly, available separately. You can also purchase a complete Race master Holster here.